Just as our wonderful collections have grown over the years through careful acquisition, so our buildings have multiplied and changed, including new additions and refurbishments as part of our Vision 2020 redevelopment. See how the Secret Life of Books transformed the Library's magnificent dome during White Night Melbourne 2018. Watch the Ideation illuminations light up the domed reading room for White Night Melbourne 2016. See how the Library's facade and dome were transformed into an illuminated wonderland during White Night Melbourne 2015. 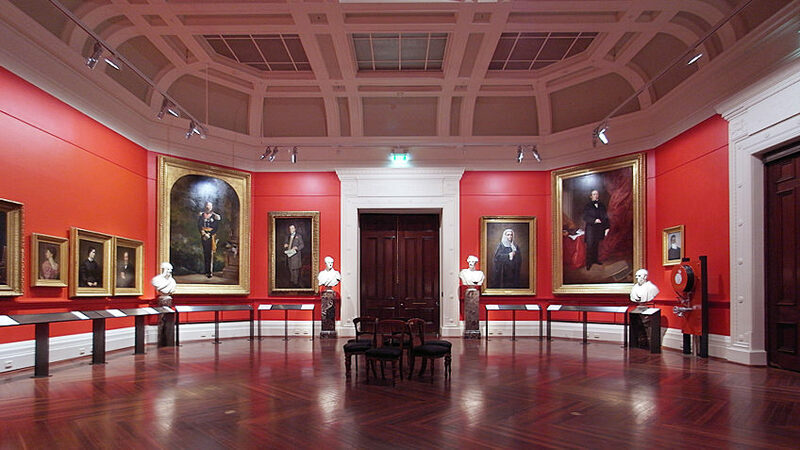 Find out about hiring our beautiful galleries and heritage spaces. The Library's new Russell Street entrance was opened in September 2018 as part of the Library's Vision 2020 redevelopment work. 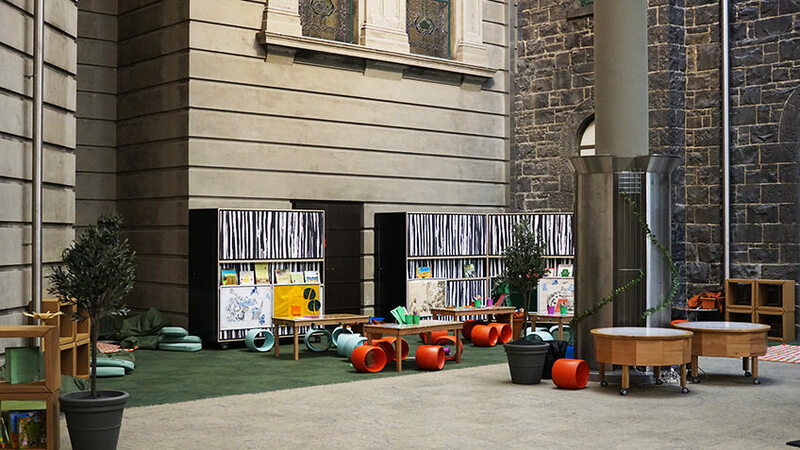 The Russell Street Welcome Zone's vibrant lounge and meeting space is also home to the Readings State Library bookshop and a new cafe, Guild. This shared space is designed for working, collaborating and relaxing, and features a large-scale original artwork by Melbourne artist Tai Snaith. 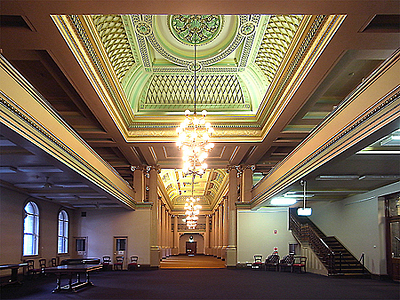 From 1906 to 1997 the historic Russell Street entrance was the entry to Melbourne Museum. Today, the Welcome Zone can also be entered via a new accessible entrance on La Trobe Street. The Swanston Street entrance will reopen in late spring 2019, marking the completion of the Vision 2020 project. 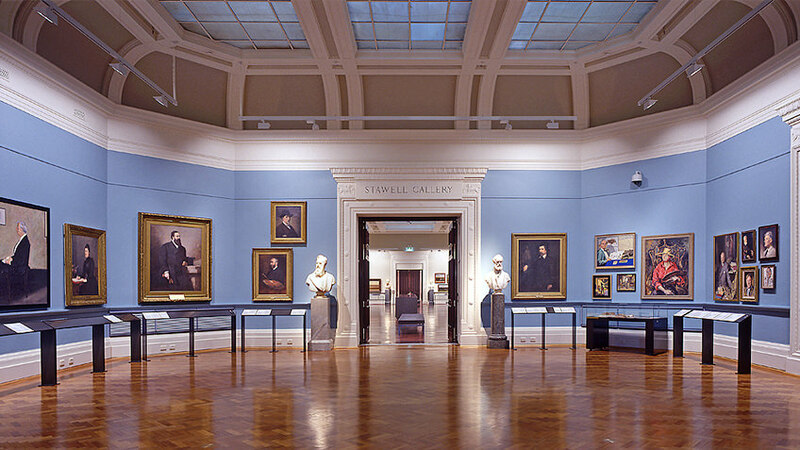 Formerly known as the Stawell Gallery, the Cowen Gallery was constructed in 1892 for the National Gallery of Victoria, which occupied the building until 1968. 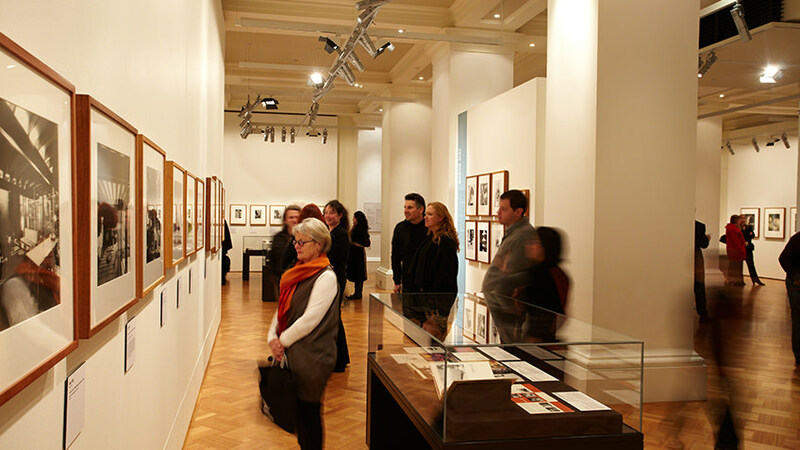 The gallery houses a permanent exhibition of artworks from the Library's Pictures Collection, which was refreshed in 2018 to include a greater representation of 20th-century artists such as Eric Thake, Arthur Boyd, Fred Williams and Juan Davila. Other works cover themes such as major Victorian bushfires (including William Strutt’s Black Thursda), and the city and urbanisation. 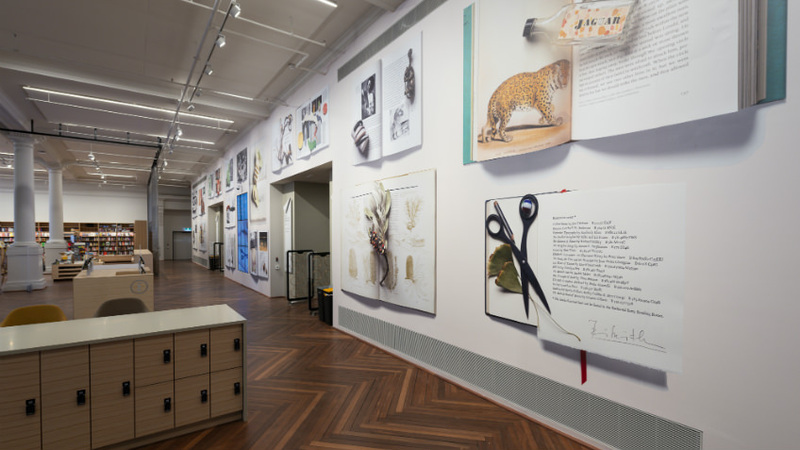 You can browse images from the 2003–18 exhibition in our image gallery. Part of the Library's Gateway Zone, the Cowen Gallery is also home to the staffed Gateway service point and several self-service points. This reading room originally housed the Industrial and Technological Museum and was filled with displays of taxidermied animals, including the legendary racehorse Pharlap. 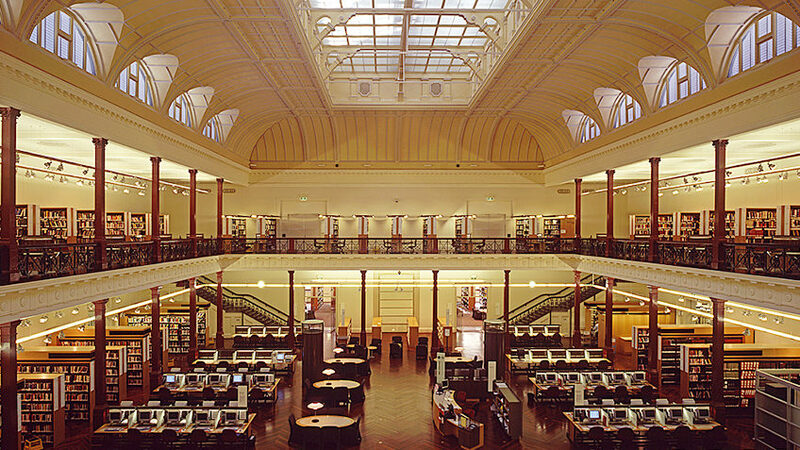 Refurbished and reopened in 2004, it is currently the largest reading room and houses general nonfiction and Journals and Magazines collections. 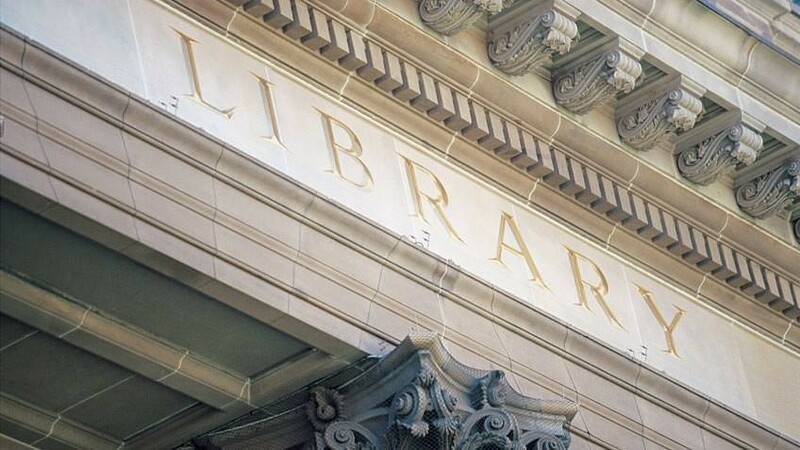 It also houses the Library's PCS, printing, copying and scanning services, and collection pick-up points. See a 360-degree view of the Redmond Barry Reading Room. Built in 1913, our magnificent octagonal domed reading room is six storeys high and can house 32,000 books and 320 readers at its desks. When it was built, the enormous reinforced-concrete structure was the largest in the world. 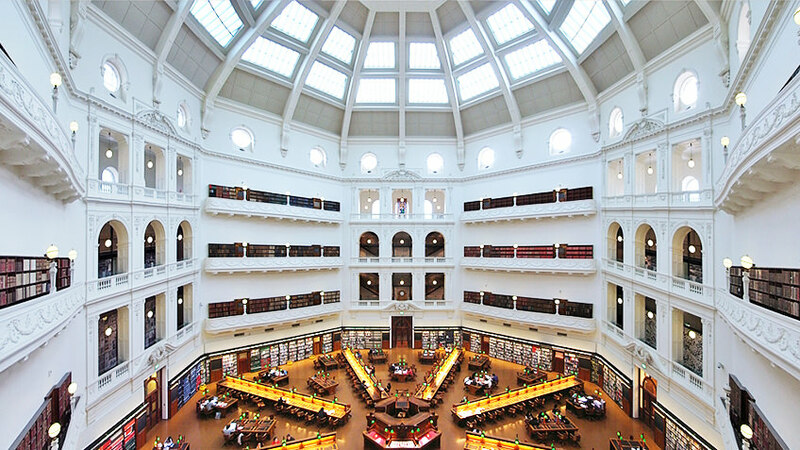 Known as the Domed Reading Room until it was refurbished and reopened in 2003, the building is an architectural feat. The upper galleries were originally serviced by spiral metal staircases, which can still be seen in the corners of the room. Levels 4 and 5 house the permanent exhibitions World of the book (formerly Mirror of the world) and The changing face of Victoria. A viewing platform on level 6 offers a fabulous panorama of the dome and the reading room below. 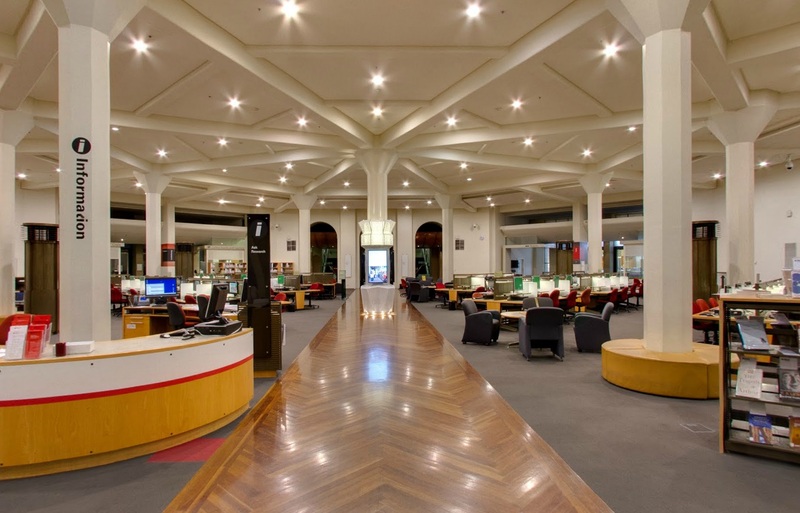 See a 360-degree view of the La Trobe Reading Room. 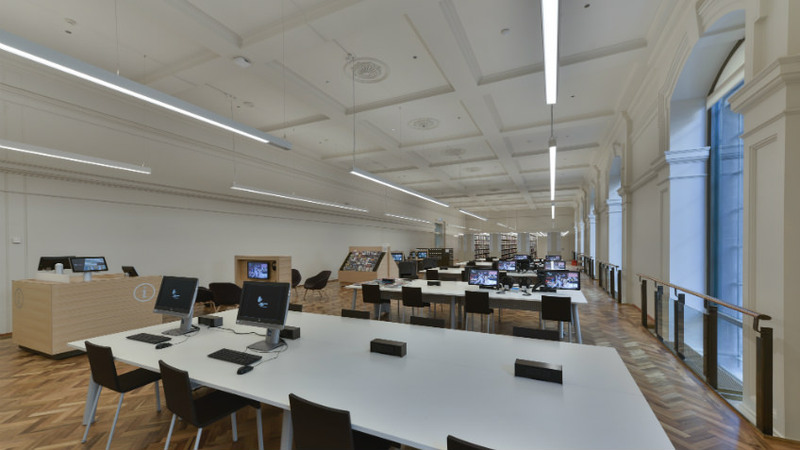 The combined Herald and Weekly Times Newspapers and Helen Macpherson Smith Trust Family History Reading Rooms reopened in September 2018 as part of the Library's Vision 2020 redevelopment work. The reading rooms share a stunning heritage gallery, seating 76 visitors. 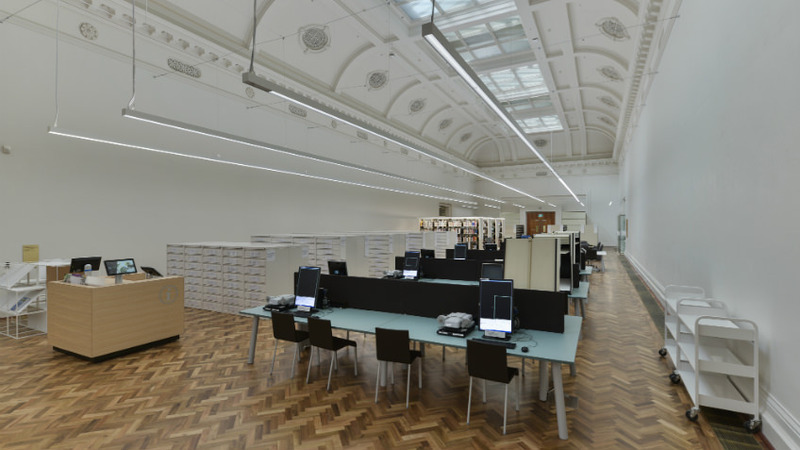 The Arts Reading Room reopened in September 2018 as part of the Library's Vision 2020 redevelopment work. The heritage gallery has seating for 52 visitors, and new technology including AV stations and listening posts to access the Library’s vast multimedia collection. The Arts Reading Room is a designated quiet space for reading and research. The North Rotunda (formerly Red Rotunda) is currently closed due to Vision 2020 construction. The South Rotunda (formerly Blue Rotunda) hosts small exhibitions and provides access to the Heritage Collections Reading Room. Visit the South Rotunda's current exhibition, Peter Wille: Out driving, a photographic survey of Melbourne's modernist architecture from the 1950s and '60s. 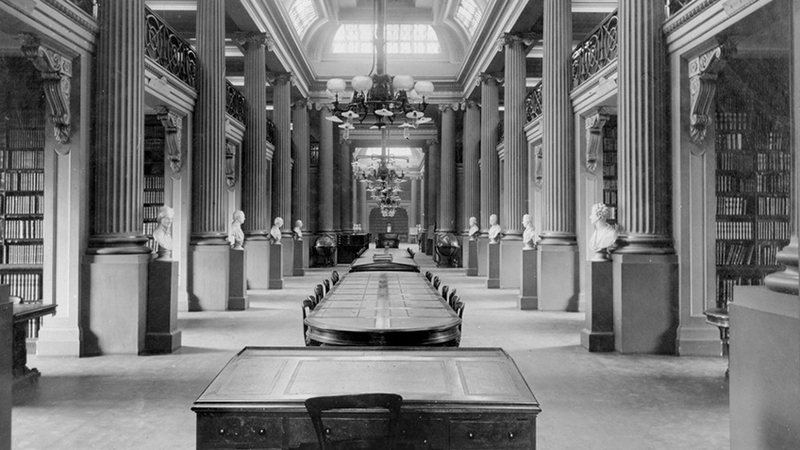 The Ian Potter Queen's Hall is the Library's most historic space, forming part of the original building that opened in 1859. Reached by a grand marble staircase, lined with soaring columns and lit by chandeliers, the impressive hall has been closed to the public since 2003. Thanks to a generous donation from The Ian Potter Foundation, Queen's Hall will be returned to its former glory as part of the Library's Vision 2020 redevelopment project. 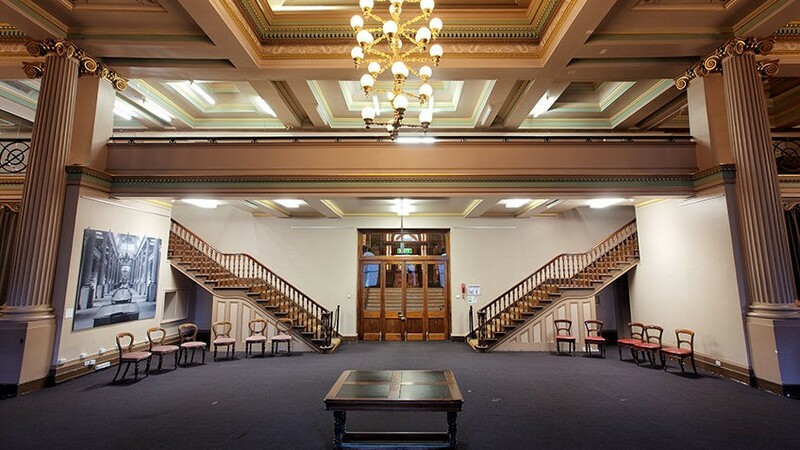 Reopening as The Ian Potter Queen's Hall in late spring 2019, it will be returned to the people of Victoria as a public reading room once more. As part of our Vision 2020 redevelopment work, the Trescowthick Information Centre (TIC) is closed until late spring 2019. 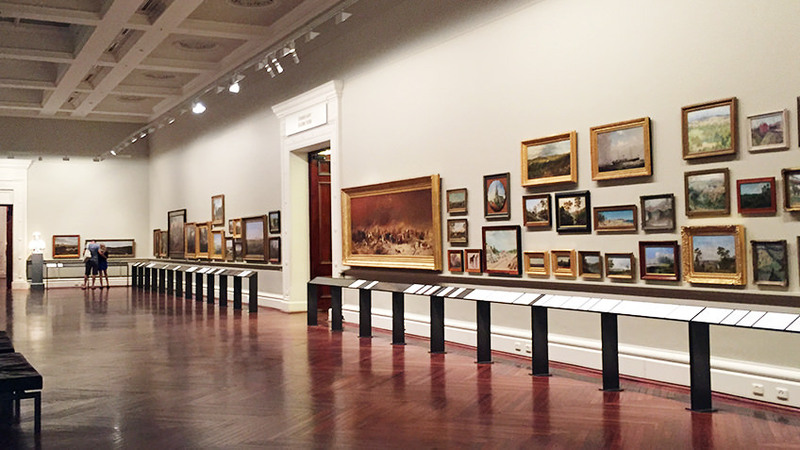 As part of our Vision 2020 redevelopment work, the Keith Murdoch Gallery is closed until late spring 2019. The courtyards are currently closed for Vision 2020 construction. They will reopen in late spring 2019. Learn fun facts about the history of our building and its many icons.